Bond Scam: Mr. Prime Minister, Facts Are Stubborn! Hon. Ranil Wickremesinghe was the Minister in charge of the CBSL when the infamous Bond Scams were perpetrated there in 2015 February and 2016 March. He still continues as the Minister in charge of the CBSL. He is also the Prime Minister of the country. A Presidential Commission of Inquiry has completed an investigation and the findings of the Commission are now published in a report by them. During the court proceedings now in progress (according to action taken by the Attorney General), many revelations concerning direct involvements of politicians, parliamentarians and even Ministers of the Government keep on surfacing causing alarm and shock waves among the public. One of the main persons responsible for the wrong doing wanted by the Courts for judicial action is evading arrest. He is the former Governor of the Central Bank of Sri Lanka who served there until the completion of his term even after the Bond Scam was exposed. The persons responsible for his appointment, continuation in office amidst various public protests and reprimands by Parliamentarians, are maintaining a dead quietness about his disappearance from the scenario. Public have a right to raise an issue in this regard. Isn’t there any responsibility falling on those who made this very special appointment amidst heavy objections and criticisms to produce him for purposes of jurisdictional. In the context it is relevant to recall certain references made in this regard at different forums. 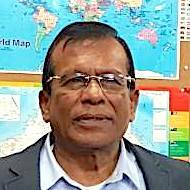 Mr. Arjuna Mahendran was appointed the Governor of the CBSL, on 23rd January 2015. Thus, the appointment of Mr. Mahendran was made before the period of our Mandate commenced and we have no jurisdiction to determine the merits or demerits of that appointment. However, we cannot be insensible to the fact that, there have been concerns expressed in the public domain with regard to the propriety of Mr. Mahendran’s appointment following reports of his alleged intervention in the Treasury Bond Auction held on 27th February 2015 and his relationship with Mr. Arjun Aloysius who has close connections with Perpetual Treasuries Ltd, which obtained the lion’s share of the Bids accepted at that Auction. Concerns have also been expressed in the public domain, with regard to whether the fact that, Mr. Mahendran is not a Citizen of Sri Lanka, made it unlawful or unsuitable for him to have been appointed the Governor of the CBSL. Therefore, we decided to briefly look at these issues, though we will not, in view of the confines of our Mandate, venture to arrive at any determination on these issues. When Mr. Mahendran gave evidence before us, he stated that, he had been working in Dubai in January 2015 and that, he had received a telephone call from the Hon. Prime Minister, Ranil Wickremesinghe, MP, who had invited Mr. Mahendran to accept appointment to the office of the Governor of the CBSL. In this connection, we note that, the Hon. Prime Minister is also the Minister of National Policies and Economic Affairs under which the CBSL has been placed. Next, in view of the requirements of Section 12 (1) of the Monetary Law Act which states that, an appointment of the Governor of the CBSL has to be made by the President on the recommendation of the Minister of Finance, the Commission of Inquiry asked the Hon. Prime Minister whether Mr. Mahendran was appointed on recommendation made by the then Minister of Finance and/or on a recommendation made by the Hon. Prime Minister, as the Minister of National Policies and Economic Affairs under which the CBSL has been placed. Thereafter, the Commission of Inquiry asked the Hon. Prime Minister the reasons why he considered Mr. Mahendran to be a fit and suitable person to be appointed the Governor of the CBSL. In these circumstances, it is apparent that, the question of whether or not the fact that, Mr. Mahendran was not a Citizen of Sri Lanka precluded him from being appointed the Governor of the CBSL was not a “Question of Law”. Instead, it was a “value judgement” which had to be made by those who considered the wisdom of appointing Mr. Mahendran, who was not a Citizen of Sri Lanka, as the Governor of the CBSL. In passing, we would also mention that, prior to 2015, the CBSL was placed under the Ministry of Finance. In 2015, the CBSL has been brought under the Minister of National Policies and Economic Affairs. That is a decision taken by the Executive which is entirely outside the scope of our Mandate. The question of conflict of interest was another matter dealt with in detail by the Commissioner of Inquiry. The issue of whether a conflict of interest, in fact, arose as a result of Mr. Mahendran’s son-in-law, Mr. Arjun Aloysius, being closely connected to Perpetual Treasuries Ltd, has been considered in Chapter 25 of this Report. We have determined that, there was a conflict of interest which prevailed during Mr. Mahendran tenure as the Governor of the CBSL because Mr. Aloysius did, in fact, continue to remain actively engaged with the operations of Perpetual Treasuries Ltd, contrary to the assurances which Mr. Mahendran has repeatedly given the Hon. Prime Minister. We consider that, the confidence which the Hon. Prime Minister states he placed in the assurances given to him by Mr. Mahendran, was misplaced. We are of the view that, the more prudent course of action would have been for the Hon. Prime Minister to have independently verified whether Mr. Mahendran was, in fact, honouring the assurances he gave the Hon. Prime Minister. We regret that, the Hon. Prime Minister did not take that course of action. We consider that, the position may have been different if the Committee or other body which carried out this Inquiry had the benefit of members who had knowledge and experience in the technical and practical aspects of the matter being inquired into. Commission has made the following observation about a statement made by the Prime Minister in the Parliament on 17th May 2017. Next, with regard to the Statement made in Parliament by the Hon. Prime Minister on 17th March 2017, in which he states, inter alia, that, Mr. Mahendran had not interfered in the Treasury Bond Auction of 27th February 2015, we have held that, the evidence establishes that, Mr. Mahendran and Deputy Governor Samarasiri, deliberately and mala fide, misled the Hon. Prime Minister and suppressed material facts and misrepresented the factual position when they reported the events relating to the Treasury Bond Auction held on 27th February 2015, to the Hon. Prime Minister and also when they submitted a Briefing Note to the Hon. Prime Minister, with regard to the events of that Auction. While we do not, for even a moment, presume to make any pronouncement on events that transpired in Parliament, we consider that, the Hon. Prime Minister would have been better advised, if he had independently verified what had happened at the CBSL on 27th February 2015, before making any statement, instead of relying on the Briefing Note and report submitted to him by Mr. Mahendran and Deputy Governor Samarasiri. The accusations, allegations against MPs some of which have been admitted by MPs and Ministers for accepting gratifications from the principal accused parties of the scam. For the colossal loss to the CBSL and to the continuing adverse effects to the economy of the country. The various recommendations made by the Commission against several parties for the need of initating legal action. Eg. The former Minister Ravi Karunanayake. The fate of upright, conduct and behavior expected by the voters who elected these people under a democratic system to uphold and maintain principles of good governance. The statement of the Prime Minister to the Parliament without verifying the facts independently. Country should have answers to these issues soon before they decide on suitable candidates for the next election. Ranil cleaned up the Central Bank. Now not even the German Trained Toiletarians can clean him up. Factual error by the author who is trying hard to bring Mahind back, Mahendran was recommended by PM but APPOINTED UNDER THE SIGNATURE OF AND BY THE PRESIDENT. Mahendran was the Banker in Dubai that the Rajapakses relied on to handle their looted fortune. Ranil for whatever reason ( to expose the Rajapakse’s????) tried to use Mahendran! As any MAFIA don would state its BUSINESS nothing PERSONAL. SAD STATE OF AFFAIRS – Sri Lanka! @ Rusiripala – Are you now tired of having to appear on News First ( under patronage of Maharaja ) to slay the UNP ? . The CB Governors appointment letter was given by the President – therefore he is the primary suspect and beneficiary of this fraud. It was reported that tons of gold were moved from the Central Bank during the previous regime and sold . Can’t a commission be appointed by the President to investigate that or Greek Bond scam . Or was it because he was also part of that crooked regime team ?? Don’t take sides when making allegations of bribery & corruption… What about the Russian warship deal – why does that not appear in News First ??? YOU CANT FOOL ALL THE PEOPLE. Ranil was accused in Batalanda Commission report. Chandrika did not probe it because she had Navali and Chemani Murders in her hand. She imprisoned Corporal Rajapaksa for trying to bring out Chemani Murders. But Rajapaksa proved in the court that he was true in Chemani facts. So Chandrika’s sin was standing detrimental to clean Ranil’s sins. Old King was cleared from many crimes by CJ Buffoon de Silva. He is the best comedy character ever appeared on the earth. Walt Disney cannot see him even in his wildest dream. CJ Buffoon de Silva cut down Chandrika’s term by one year to bring Old King to EP seat. Old King was not trying to catch Chandrika at first because he had many of his ones on the open table. So to take care of Chandrika, he was having the White van ready & looking for the correct opportunity. As he could not deal with her by White Van and missed the court procedures at the start, Chandrika put him out of power two years ahead. Old King excused Ranil permanently on the Batalanda accusation. Ranil now will not have to face the Batalanda case. 1).Ranil saved Old Royals from War Crime. 2). Ranil protected Old Royals from the revenges of Chandrika. 3). Ranil Shielded Old Royals from Ponny’s anger. In return, If Old Royals come back, Ranil is fully safe on CB looting case. If Son Prince wanted to do anything with Aloysius, he will open up the door and let him go. But Demulu Pariah Mahendran’s case is still up in the sky.